As Interactive designer, I utilized full-frame video while building this highly interactive website to set the tone for this action-drama. Each page has an interactive environment, where the user can fire Driver’s favorite weapon of choice: a .480 Ruger. This fully interactive site uses 3D models and video to immerse the users in the world of Faster. Each section features new ways for the user to engage. For example, the downloads section also includes a mini-game, where users can destroy items in the background in order to unlock special icons and wallpapers. A .480 Ruger was fully 3D-modeled and seamlessly animated as a navigational tool which also acts as a mini-game. 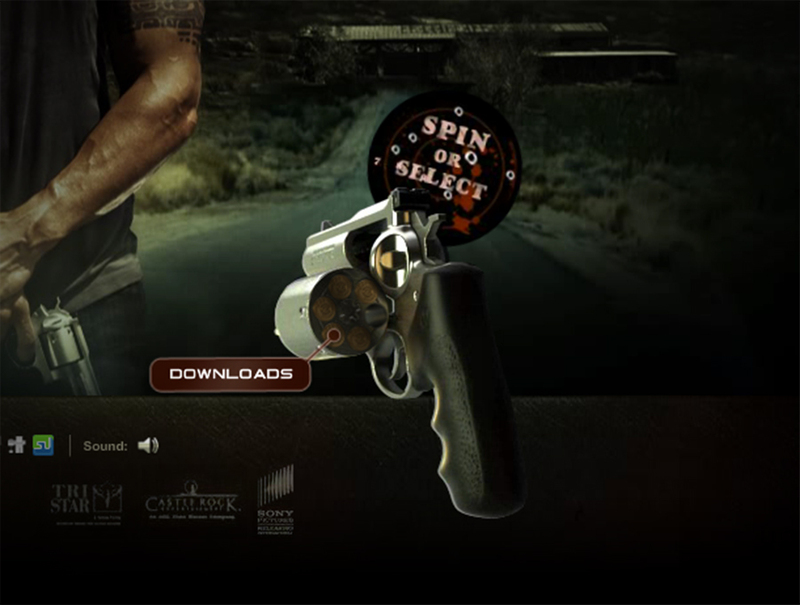 Users could interact with the gun by playing roulette, which takes them to a random section of the site.